Spider silk – the protein fiber spun by spiders to make webs, nests, cocoons, and wrapping for prey that they stash away – is a remarkable substance. Its mechanical properties combine high tensile strength and high extensibility or ductility. This allows spider silk to absorb a lot of energy before breaking. It is stronger than steel, but not as strong as Kevlar, for example. On the other hand, it is tougher than either. People have long dreamed of using spider silk in everything from bulletproof vests to medical implants. Using spiders to produce it is not really practical. They are difficult to keep in captivity and they only spin small amounts of the stuff. So there has been continued research into ways to make artificial spider silk. Until recently, all attempts have involved the use of harsh chemicals and have resulted in fibers of limited use. What has been produced is of very short dimensions and cannot actually be spun. A team of researchers from two institutes in Sweden have now developed a method that can produce kilometer-long threads that resemble real spider silk. The artificial silk protein can be produced in bacteria, which makes the process scalable and of commercial value. The researchers studied the silk glands of spiders and figured out how a regulated pH gradient in the gland helps the silk to form properly. The artificial protein is as water soluble as natural spider silk proteins and is used in an efficient spinning apparatus that mimics the natural gland. 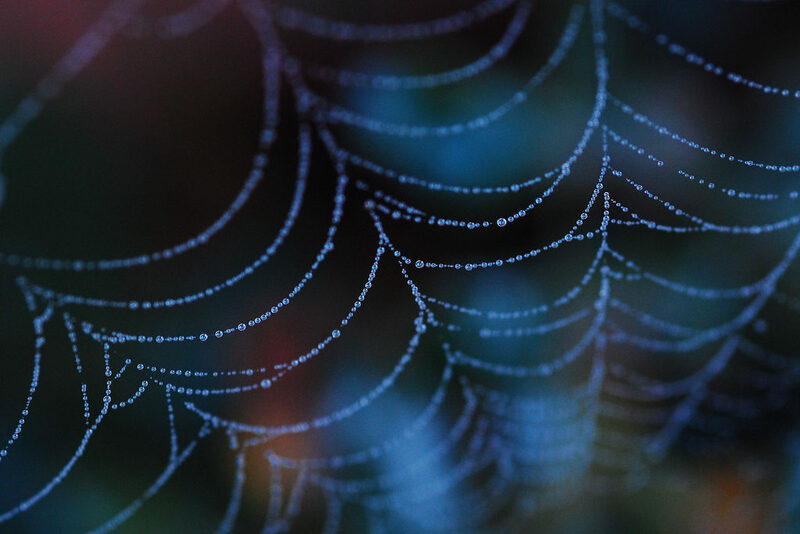 The process is not likely to end up in a wearable device used by superheroes to leap from building to building, but there may well be spider silk products on the market in the future. Photo, posted May 24, 2009, courtesy of Vincent Lock via Flickr. ‘Spider Silk’ from Earth Wise is a production of WAMC Northeast Public Radio.